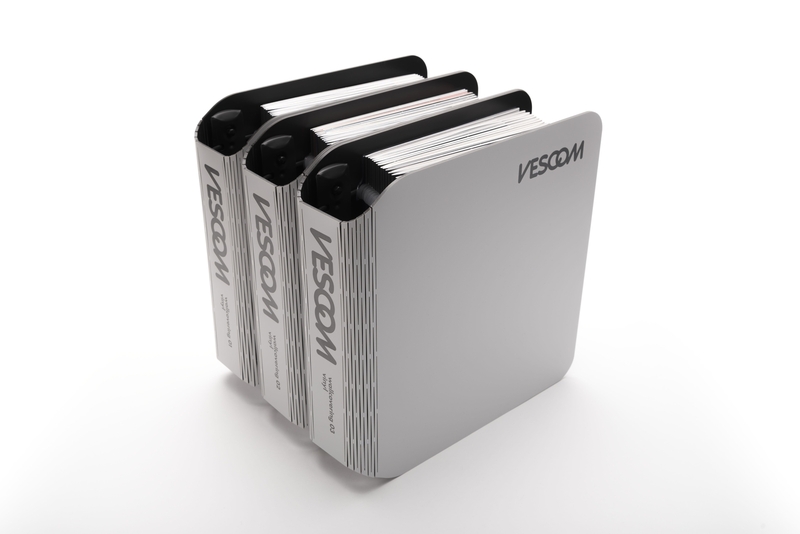 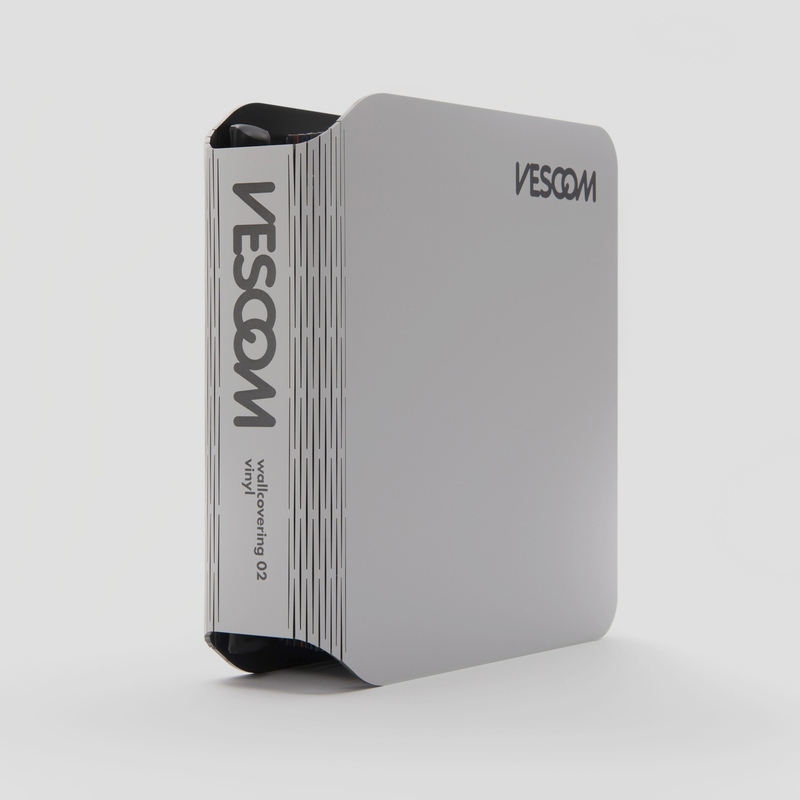 This sample material binder is the calling card of the Vescom brand for its customers. 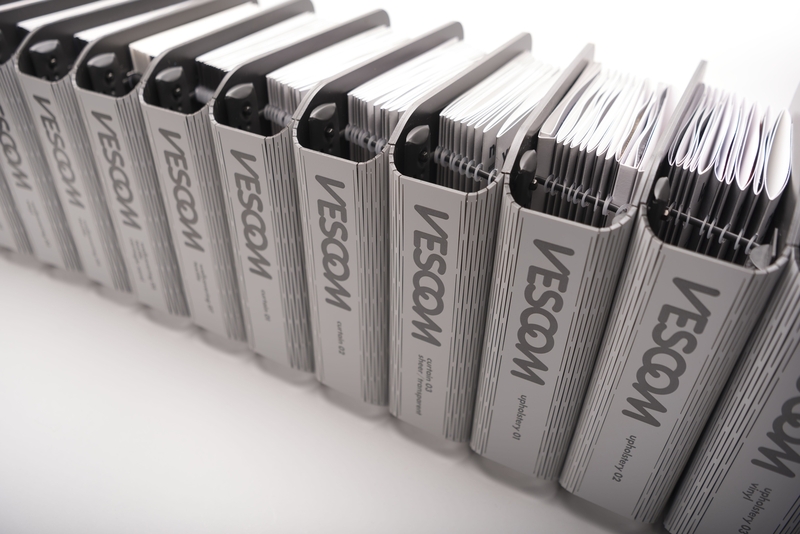 Interior designers and project developers worldwide use these binders on a daily basis to select and choose from the wide range of Vescom materials. 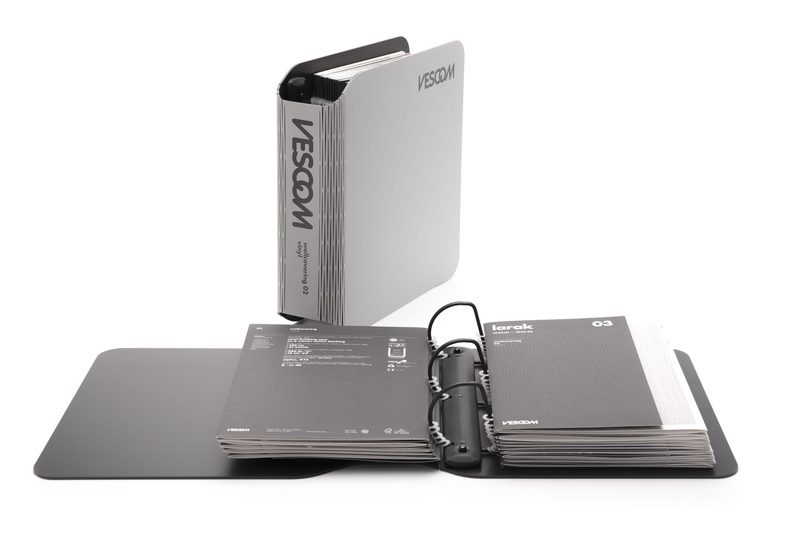 Roy Gilsing Design has been aware of its importance and was responsible for the complete development of the binder, from sketch to concept to manufactured end product. 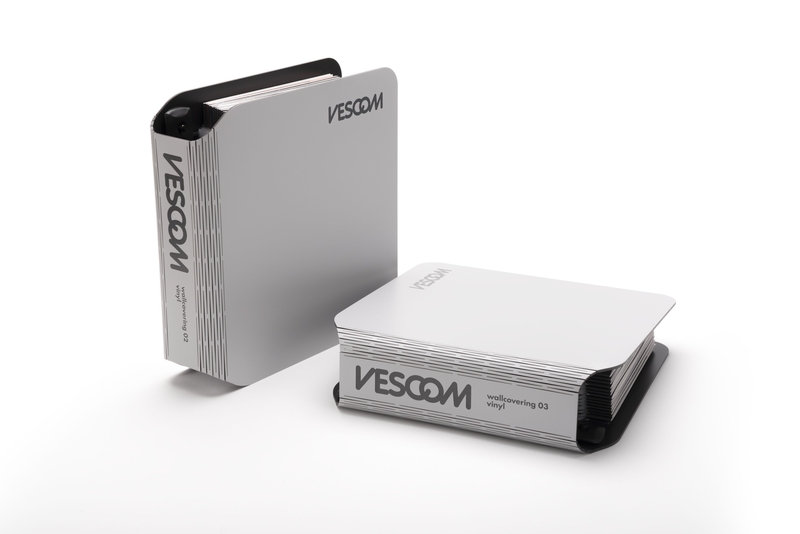 The cover of the binder has been laser cut and engraved from a single piece of double layered sheet material with integrated hinges.